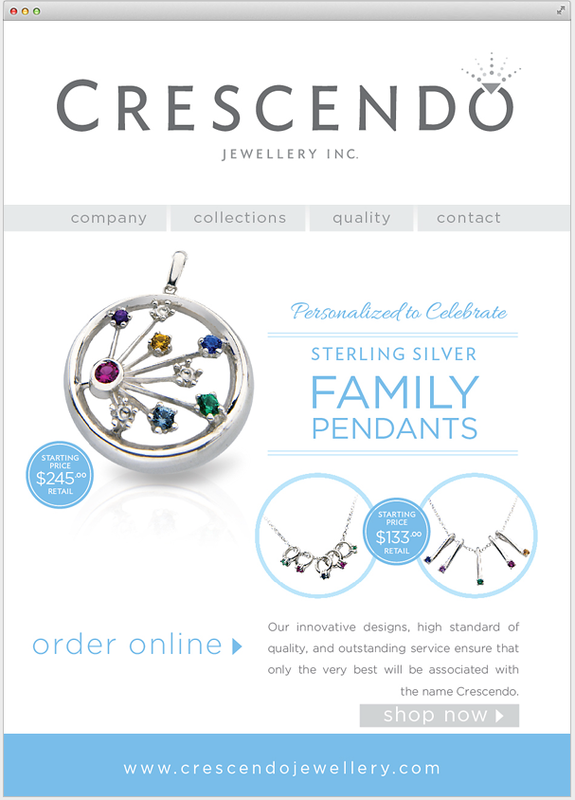 Online jewelry catalog for Crescendo Jewelry, a leading Canadian manufacturer of fine gold jewelry. 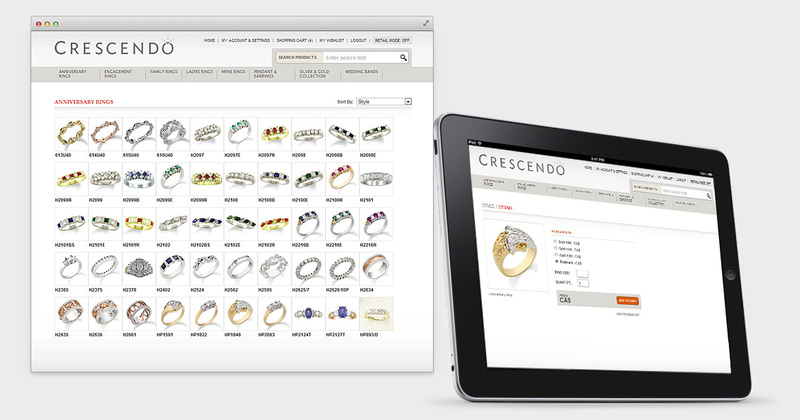 Website features both retail and dealer areas with full catalog search and on-line shopping solutions. 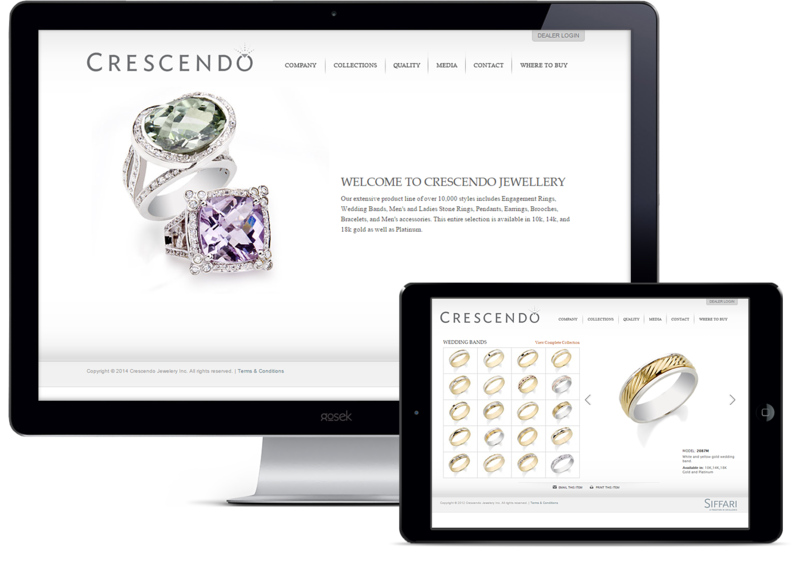 Gosek was hired to design and develop the Crescendo website that caters to large number of fine jewelry dealers. 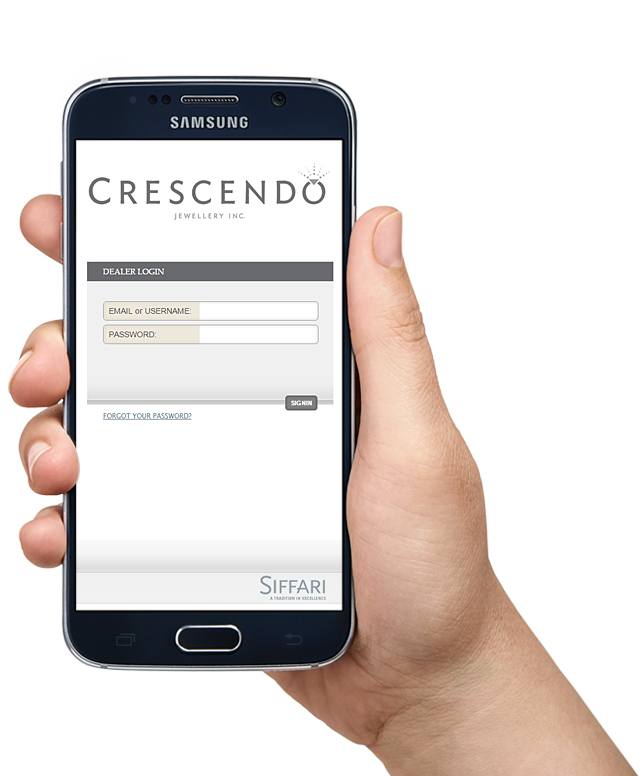 With a unique and closed source CMS System to control proprietary products and information, the team at Crescendo can easily manage the key elements of the site. 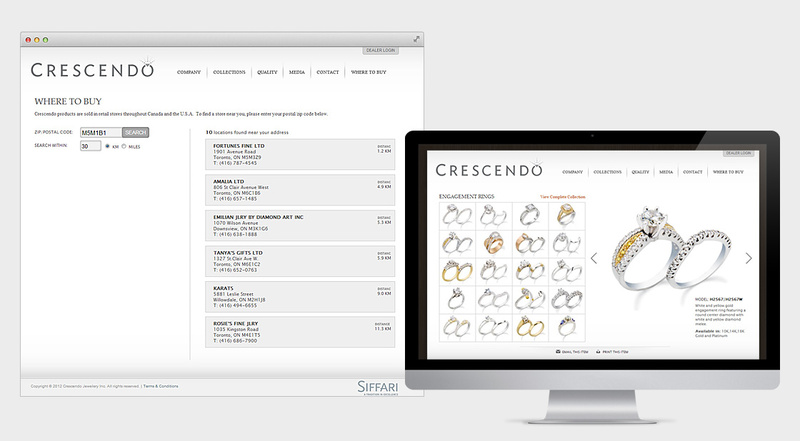 Private jewelry catalog only available to dealers and sales personnel with full catalog search and eCommerce shopping solutions. We provide complete email & digital marketing solutions that include email newsletter design and distribution.